I must be honest with you: I never played Center in My Career in an NBA 2K-something game, but this year I decided to go for a change and give it a shot by playing the big buy. I always strive to find the best build for whatever player I create and I think I have just managed to find the perfect one and I am sharing with you below my suggested perfect build for a Center in NBA 2K16: a Big Man to be feared under the rim (and not only). I haven’t played much with my build – stopped during the second season because it’s really not the type of player I am comfortable playing, but I think it went through enough testing to guarantee that this is the best possible build. I am open to suggestions, though, so if you disagree, you can leave a comment below. But until then, let’s see how to build the perfect center in NBA 2K16 for My Career! As you probably know, height is one of the most important factors in this year’s game, but when it comes to building a great perfect man, there’s no reason NOT to go crazy: set the height to 7’3″ in order to make sure that your big man will dominate under the rim. He’ll be one of the biggest guys out there, and you’ll love to see him perform. Next, make sure that you create a tank – so think about setting a weight between 290 and 310 pounds (probably around 300 is best) so that he’s not insanely slow, but not too thin to be pushed away under the rim. Scoring style: this is pretty obvious – go for Inside scoring. Go for a large wingspan of at least 7.8 and ignore the other two (I don’t think they influence performance in any way). Now that you have this great setup, you know that you can get all of your important stats to 99 (they normally go to 94, but you can boost them to 99 if you need to). We wrote a tutorial on how to get to 99 rating fast, but you can take your time. It doesn’t really matter. Invest in all the important attributes first: I would recommend you max out (and focus on these first): Inside Scorer, Athlete and Rebounder. Defender and Jump Shooter go next and here you have a bit more options: I went to max them out both and invest nothing in Playmaker and I still got a decent player that can pass the ball around and dribble a bit if needed, but I think you will be pretty much safe by upgrading once your Playmaker (there’s really no need to do more!) and take one from Defender – you will still have over-the-average defensive stats anyway and perform better thanks to your height, plus you can always boost that as well. With this build, you will have a solid Center that will be unbeatable under the rim, will score a ton of points, will rebound often and will also be able to play outside the paint if needed. I sure played a lot outside the paint because… well… I’m just not good at playing the center! 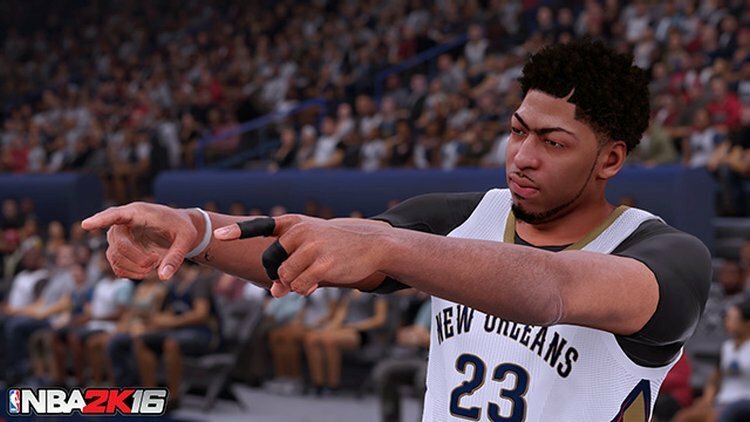 Let me know if you try our recommended build for a perfect NBA 2K16 Center – and don’t hesitate to share your opinions on a different build, if you have one! Also, don’t forget to check out our generic My Career tips if you want to improve your game a bit – and join the discussion there as well!